My creativity is expressed primarily on the page and in the kitchen, which was addressed in week 2 and week 3. Dusted off my bread maker, which I thought was broken, and made two crunchy, chewy loaves of bread to soak up all our soups and stews. Practiced my barista skills every morning to learn how to make a heart in my latte foam. There is still so much room for improvement but this is really fun! Ditched my gym workout one morning to run outside when the sunrise called me to the river and the temps were warmer than usual. No mittens or hats required! Encouraged the kids to join me in writing letters, love notes, thank yous, and Valentine's by setting up a little writing station and inviting them to decorate shoebox mailboxes to give and receive notes. 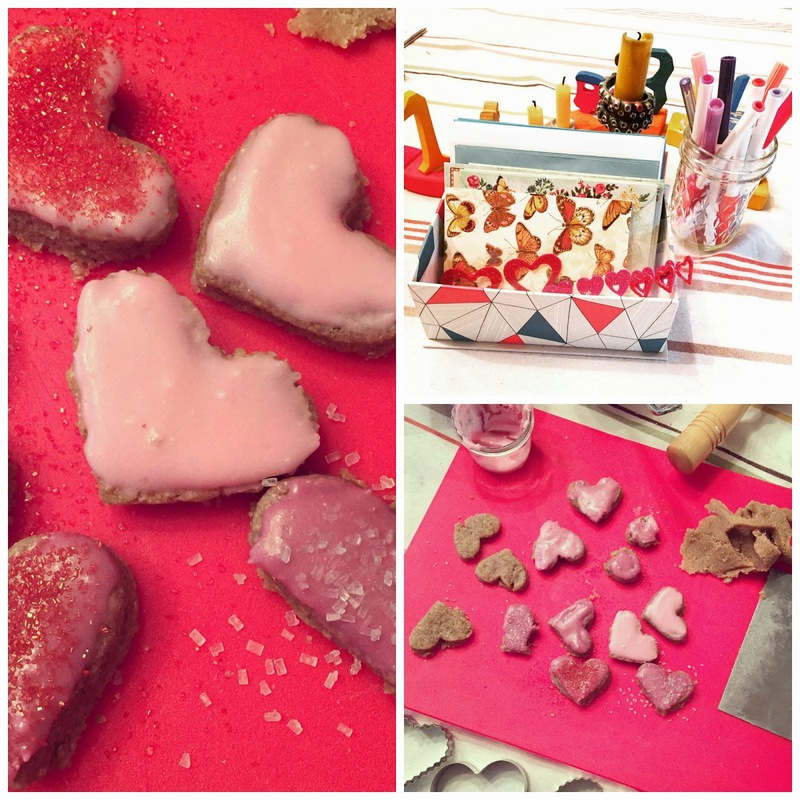 Made valentine cookies on the fly, by request, even though we had to sub some ingredients and only made a teeny tiny batch of teeny tiny hearts because we only had 1.5 sticks of butter. It feels like a simple concept to do the things you already enjoy doing and tie it to the season in whatever way feels right or within reach in that moment, doesn't it? This week's prompt gives us permission to indulge or step away from our hobbies and making endeavors however it strikes our fancy, and energizes us to honor our impulse to engage our creativity in different ways throughout the year. What about you? 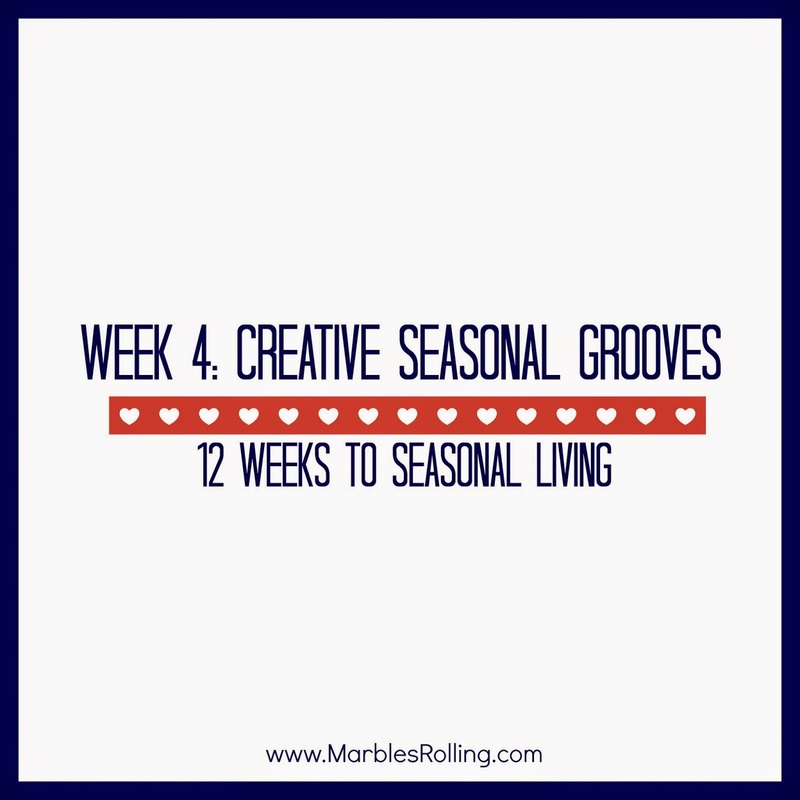 What are your creative outlets and how can you tie them to the season? Are there activities you only like to do in the Winter?